Join us for our next Freestyle Friday! 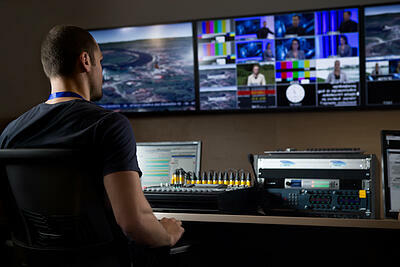 There’s more to a professional edit suite than just a MacBook Pro and an external hard drive from Best Buy. To be taken seriously in the world of freelance editing, you need to have serious gear. 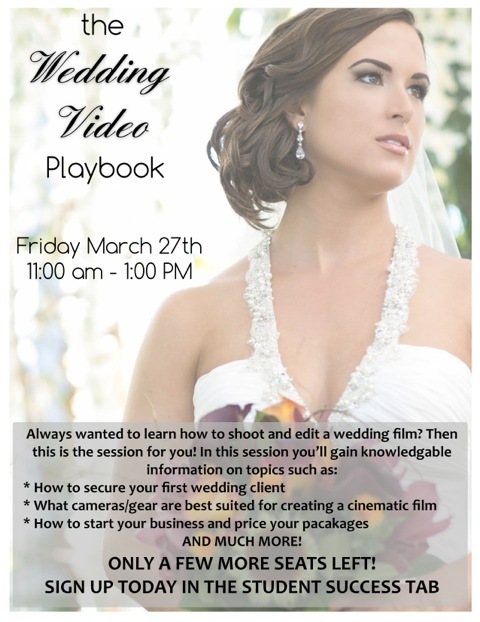 In this captivating workshop from one of the Detroit area’s most sophisticated editors, you’ll learn how to design portable and home editing suites which will not only let you work better and faster, but also command the respect of producers and clients. Cost: FREE!! 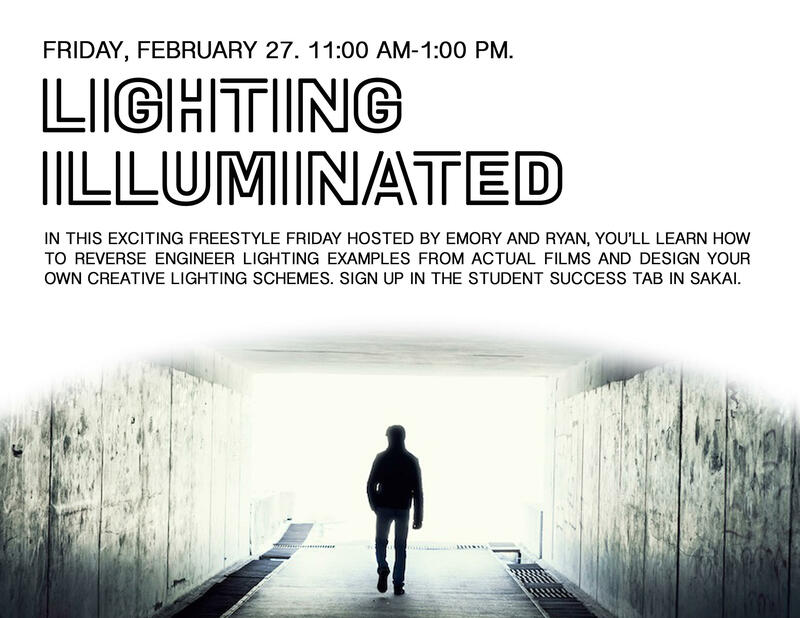 Sign up in Sakai today. Join us for our next DMA Freestyle Friday!! 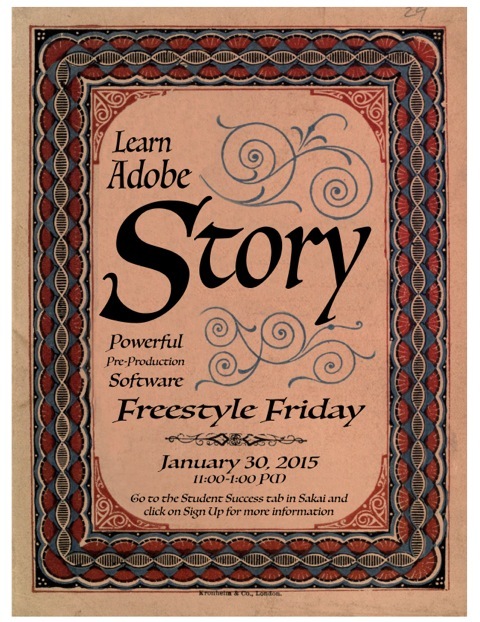 Join us for our next Digital Media Arts Freestyle Friday! Join us at our next Freestyle Friday for current Digital Media Arts students at the Farmington Hills Satellite Location!